It’s Better at the Beach! Everyone loves Norm Reeves Honda Huntington Beach! Fair deal w no pressure. Great inventory. Jon Huynh, Mike Lott and Delphine were sooooooo awesome to work with on all levels!!! Our purchase went smooth and pleasant and everyone was knowledgeable, helpful and very nice! We love our CPO Honda HR-V and would buy from Norm Reeves again! Thank you fir everything!!! Ivan is the man! He help me get a car! I swear I came in having no intention on getting a car and yet Ivan pulled through like Superman himself!!! 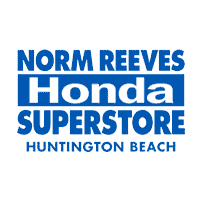 Norm Reeves Honda Huntington Beach is your local Honda dealer serving drivers in Westminster, Long Beach, Santa Ana, Newport Beach, and beyond. Our dealership features a large inventory of more than 2,000 new Honda models and over 500 used or certified pre-owned vehicles. So no matter what you’re looking for, we can help you to get behind the wheel of a terrific new car. In the past, finding the car you want for a price you can afford could be difficult. In fact, some drivers ended up driving vehicles they didn’t like. That’s not what car buying was meant to be. 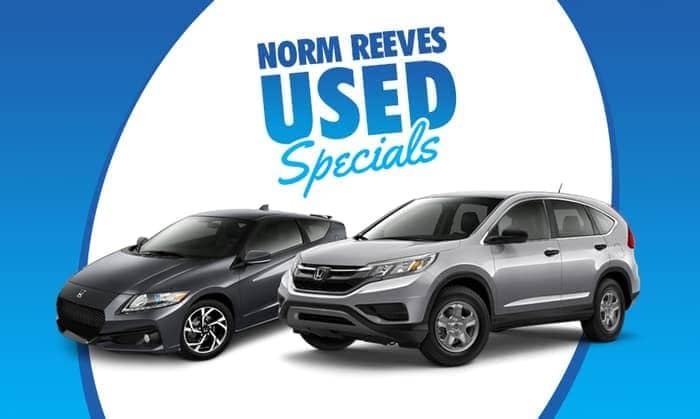 At Norm Reeves Honda Huntington Beach, you’ll find a large selection of new Honda models and a diverse collection of used vehicles. With so many options, you’ll find exactly what you’re looking for. Not only that, but we strive to offer the best prices on all of our vehicles, whether you’re looking for the latest model with all of the bells and whistles or one of our quality used cars. Pricing is always clear and provided up front, so you’re able to budget your new car purchase effectively. Plus our onsite finance department is available seven days a week to help you find an affordable loan. Whether you’re looking for the classic Honda Civic, or the road-commanding Honda Pilot, you can find all of these models and more on our lot in Huntington Beach. We try to stay current by having the newest Honda models ready for you to test drive. Come in and browse! You can even talk to a member of our team and learn about the great features and abilities of these Honda models. When you’re looking for used cars in Huntington Beach, we’re your go-to destination. At Norm Reeves Honda Huntington Beach, we offer a 5-5-5 Used Car Protection Plan. You get 5 days or 500 miles to exchange your vehicle. We also have a 5-month/5,000-mile warranty that covers engine components, transmission, and axle components. If a new Honda is out of your price range, you don’t have to stray too far from the Huntington Beach and Orange County area to find a quality used one. Not only do we carry a wide variety of used cars, but we also have a large inventory of Certified Pre-Owned Honda vehicles. These vehicles are high quality because we put them through a rigorous 150-point inspection. They also come with a 7-year/100,000-mile limited powertrain warranty, so you can enjoy driving your Honda knowing that we have your back. Before you start shopping for a new car, it’s a good idea to think about your budget. What price range should you be looking in? How much can you afford in terms of monthly payments? What’s the value of your current vehicle if you use it toward a down payment? These are all important questions to ask to make sure that you stay within your budget. The finance department at Norm Reeves Honda Huntington Beach is staffed by our expert finance team. These professionals have years of experience helping everyday drivers find affordable loans to purchase the vehicles they need. We work with over 20 reputable lenders to help you get the best terms for auto financing. We also provide fair and trustworthy appraisals for your trade-in so you can use it toward the purchase of your next vehicle. At the end of the day, our number one goal is to help you get a great deal on a car you love. The hallmark of a great Honda dealer is having a professional service center on site. Whether your vehicle needs emergency repairs or routine maintenance, it’s nice to know there’s a local Honda dealership you can count on for honest and reliable work. The service center at Norm Reeves Honda Huntington Beach is here to serve you. Your vehicle will be serviced by Honda-trained technicians who have experience working on a variety of makes and models. So no matter what you drive, your vehicle’s in good hands. Plus, with available nighttime drop-off and a free shuttle service, having your vehicle serviced has never been more convenient. If you’re looking for a Honda dealer near Westminster, Santa Ana, and Newport Beach that you can trust, come to Norm Reeves Honda Huntington Beach. We look forward to working with you! 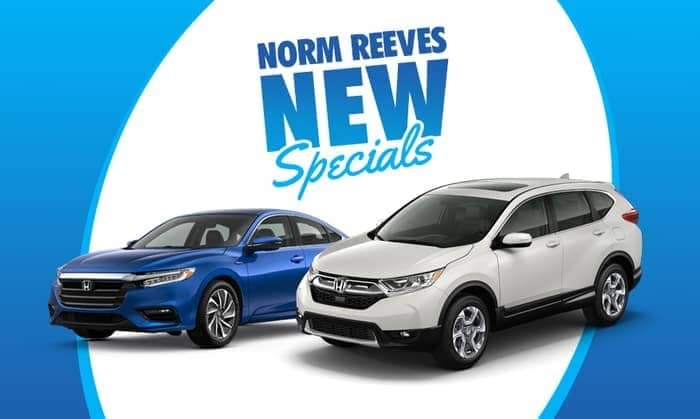 If you can find the same new Honda for less within 5 days, Norm Reeves Honda Huntington Beach will pay you the difference or buy your vehicle back.